The large copper cauldron has a typical shape, with arched, decorated with spiral hammered motifs, marteddadura a lisu, and with plants intertwinings, marteddadura pintada. It used to be the center of the family gathering during cold periods; sn brasceri, the container for live charcoal; it stands out for its highly symbolic and aesthetic value. 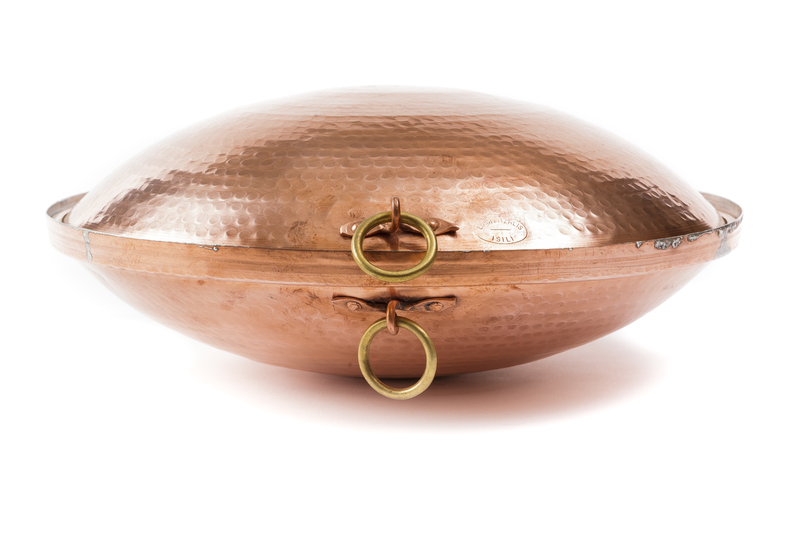 Skilfully handcrafted with a hammered decoration, it is available as unique object, with always different details. 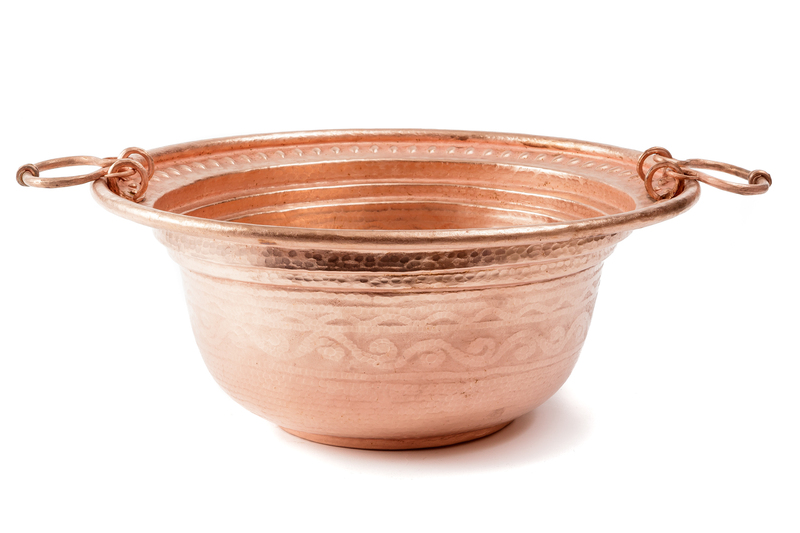 The precious copper pan, excellent for cooking, traditionally was hung on the walls, displaying the fine decoration on the bottom, hammered with sinuous and light decorative motifs. 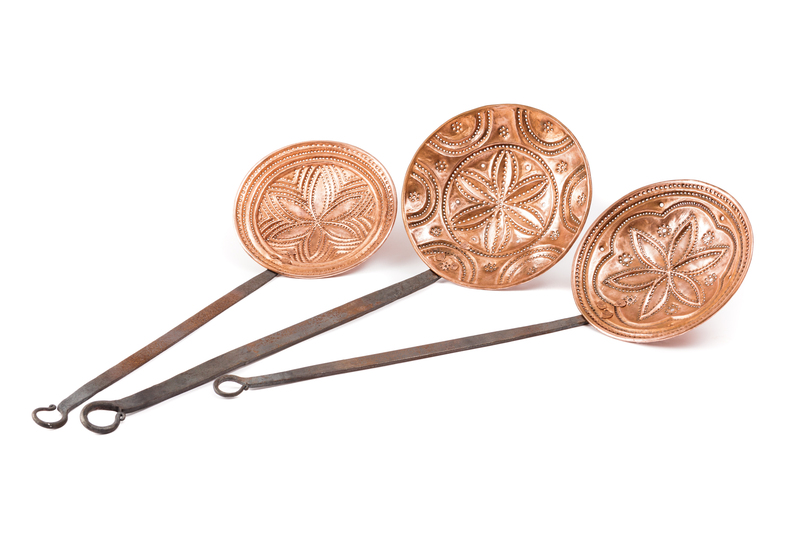 The starry embossed or fretwork flower motifs feature large skimmers which are highly functional and decorative, made of copper. The lines and the finishing being inspired by the tradition of Isili, with master craftsmanship, are proposed as everyday tools of high aesthetic value. It consists of two parts that fit together with each other tightly, almost closing su prattu de cassa, the hunter's platter, and is a sophisticated system to cook stew for meat. In his copper workshop in Isili, Luigi Pitzalis is the only keeper of an important piece of the Sardinian craft tradition. The coppersmiths in Isili, were traditionally renowned throughout the region for the production of cookware and kitchen utensils, precious items often hanging on the walls of home kitchens as a sign of aesthetic value and wealth. 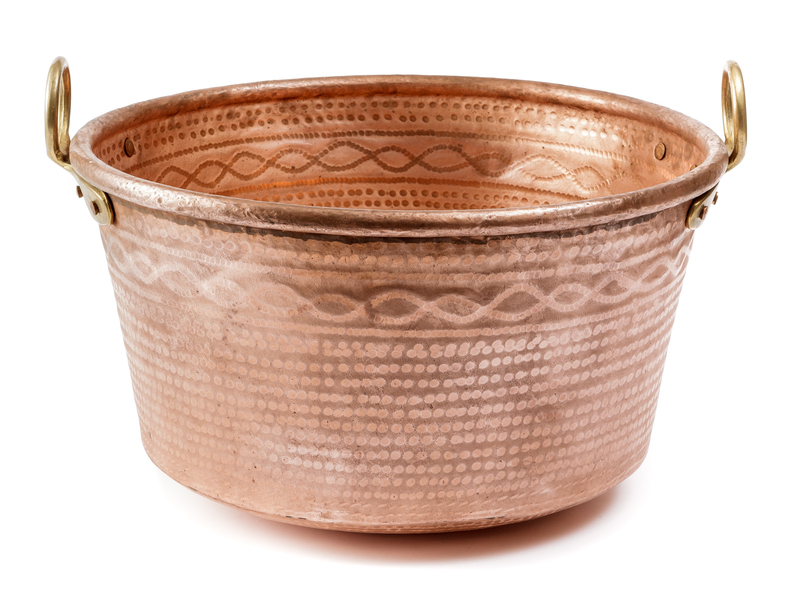 The value of the moulded, hammered, decorated and polished shapes, was enhanced by the high functional performance that the individual copper artifacts provided in their several daily uses. Luigi Pitzalis was born in Isili from an ancient family of coppersmiths. He explains "In nature, shape is determined by function. I am convinced that a fully functional tool is at the same time aesthetically perfect". The concept mirrors his production. Perfect functional and aesthetic items echo values of a distant past by providing the forms the meaning of a successful project, reinterpreted in a more contemporary way and, ultimately, as a timeless object. 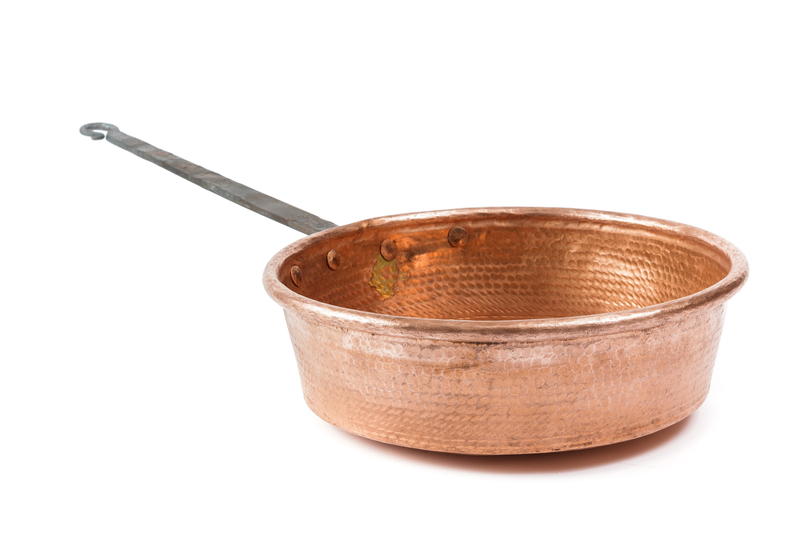 Luigi Pitzalis' production consists of kitchenware made of copper and are characterized by an excellence performance during all cooking phases and a clear aesthetic value. Pots, large cauldrons, accessories and pans of different types, shows the typical forms of the Sardinian tradition enriched by a precious craftsmanship that requires great skill and expertise. With a renewed interest in cooking and food preparation, the craftsman reinterprets a sophisticated and ancient local method, su pratu de cassa, a particular pan for slow cooking which retains the properties and flavors of food. Traditional production is complemented by decoration for environments such as the coverings and finishes for hoods and chimneys, panels and embossed paintings. The craftsman processes copper according to the ancient tradition of Isili, using typical pole anvils and different hammers to give shape to artifacts and decorations. In the charming workshop, equipped in a traditional way, the craftsman performs his works accompanying the different phases with the sound and the rhythm of the hammer.